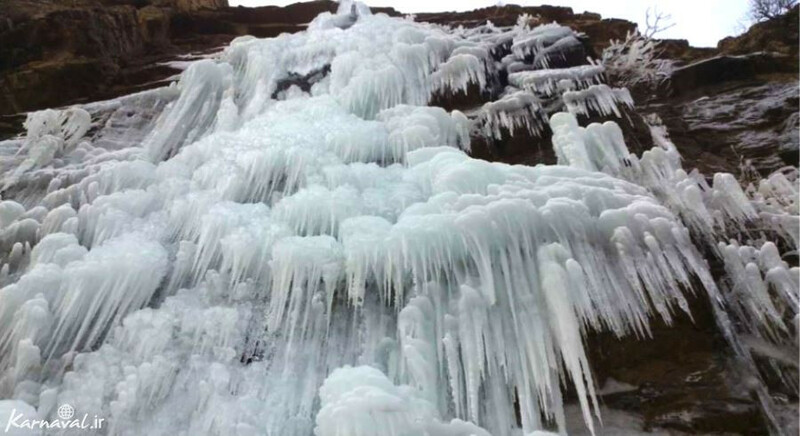 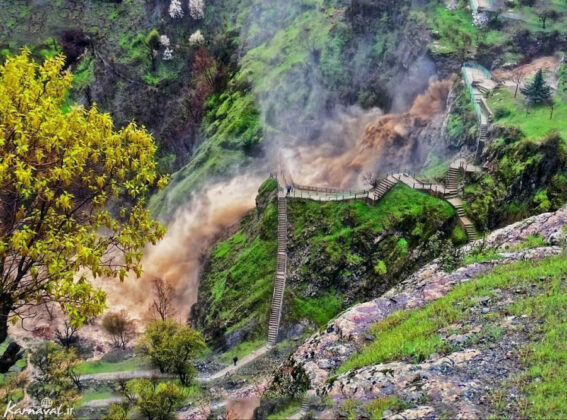 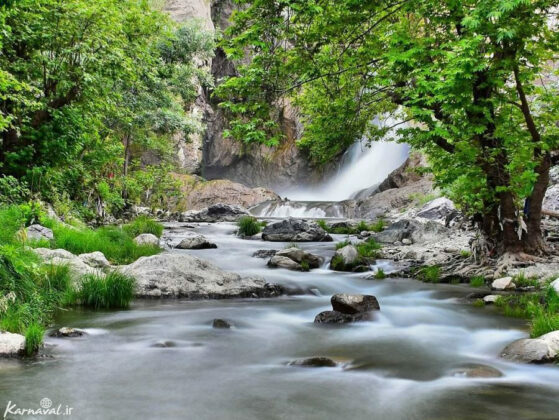 There is a cluster of waterfalls called “Shalmash” near a village with the same name on the outskirts of the city of Sardasht in Iran’s West Azarbaijan province. 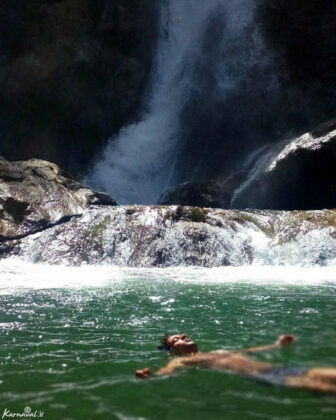 At first glance, it appears to be a single waterfall, but there are two other waterfalls hidden within it, making it beautiful and amazing. 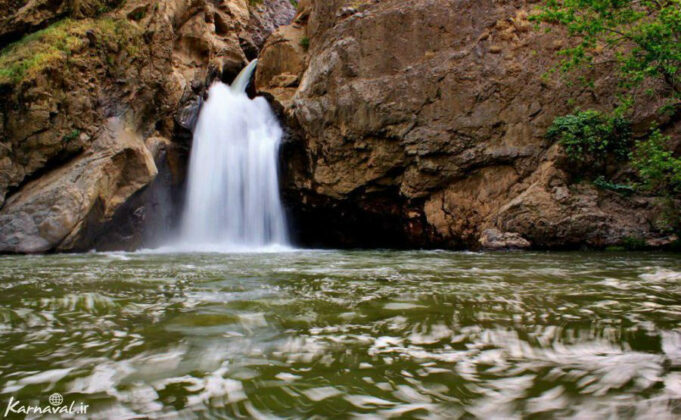 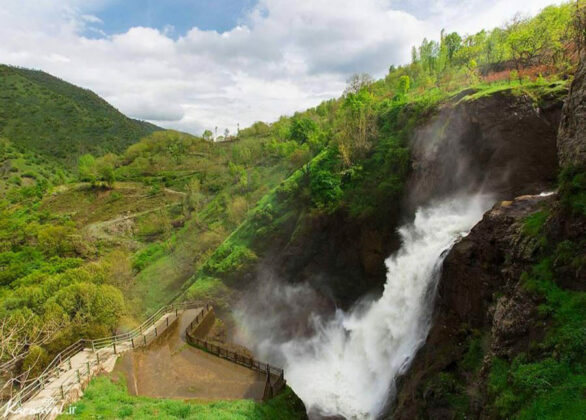 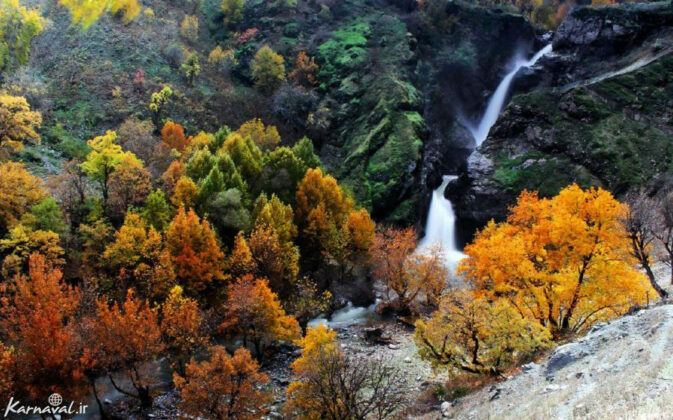 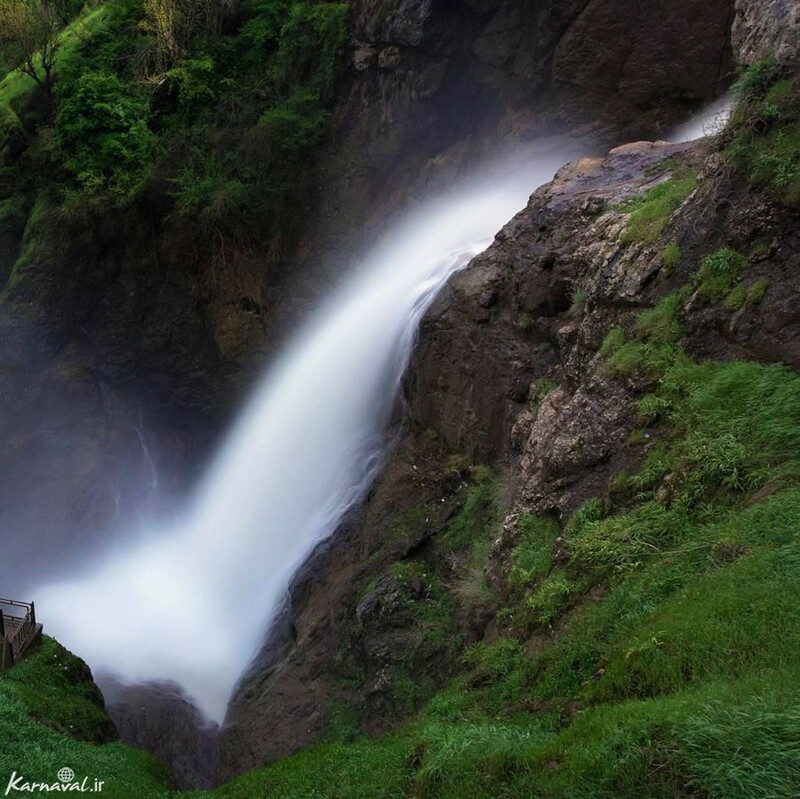 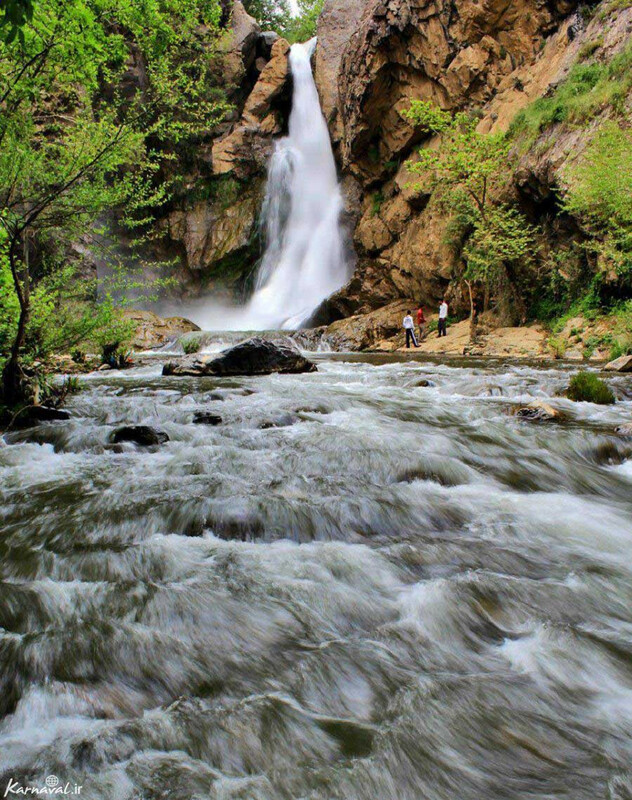 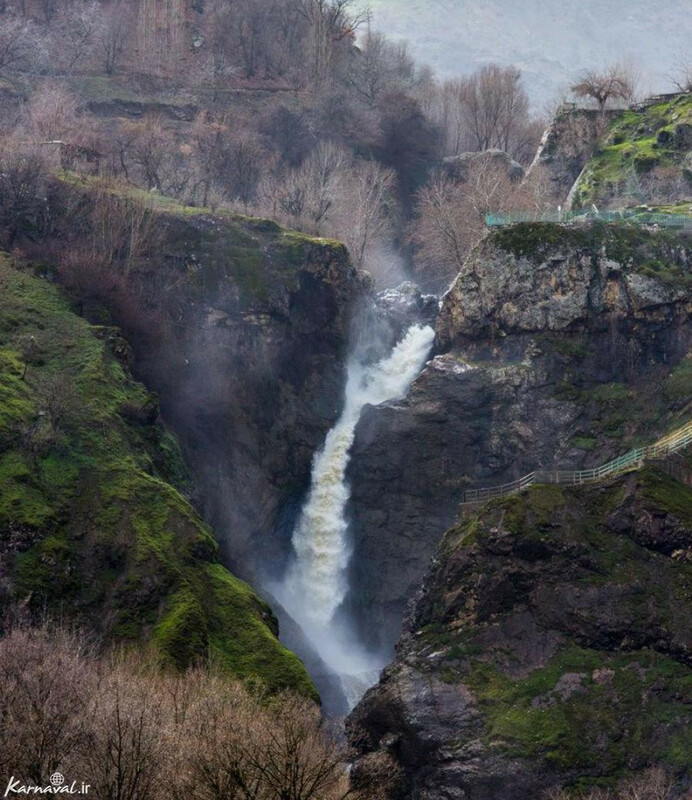 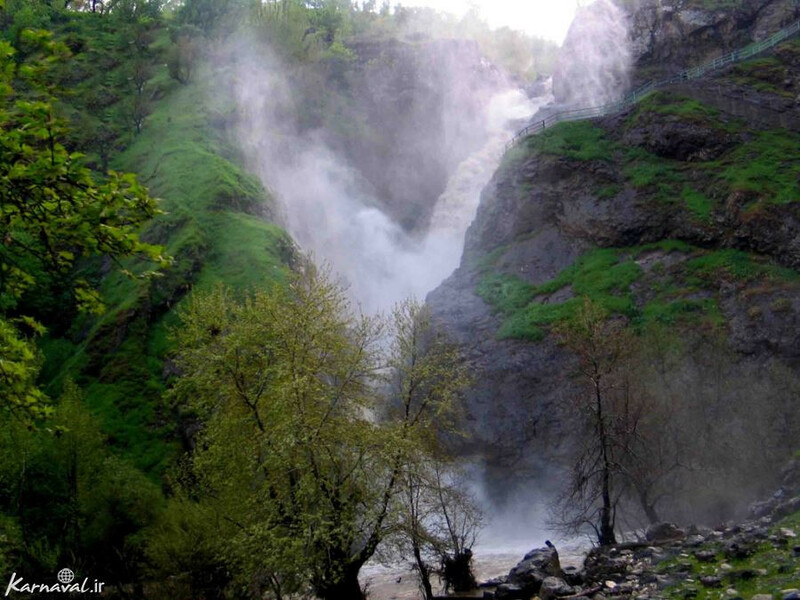 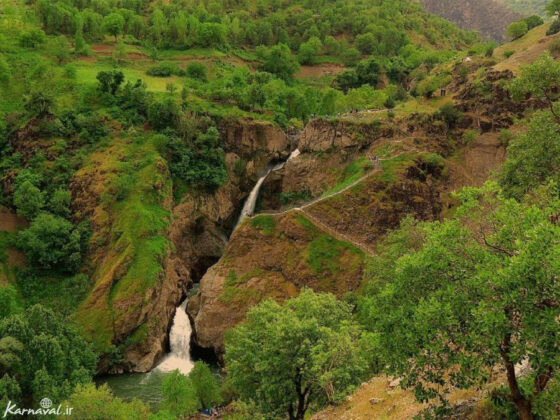 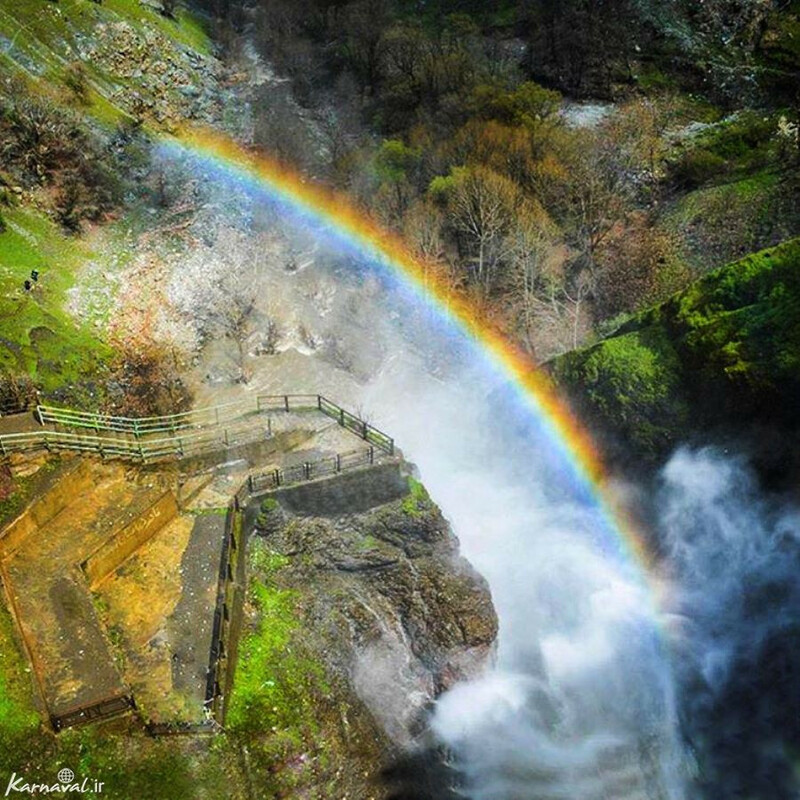 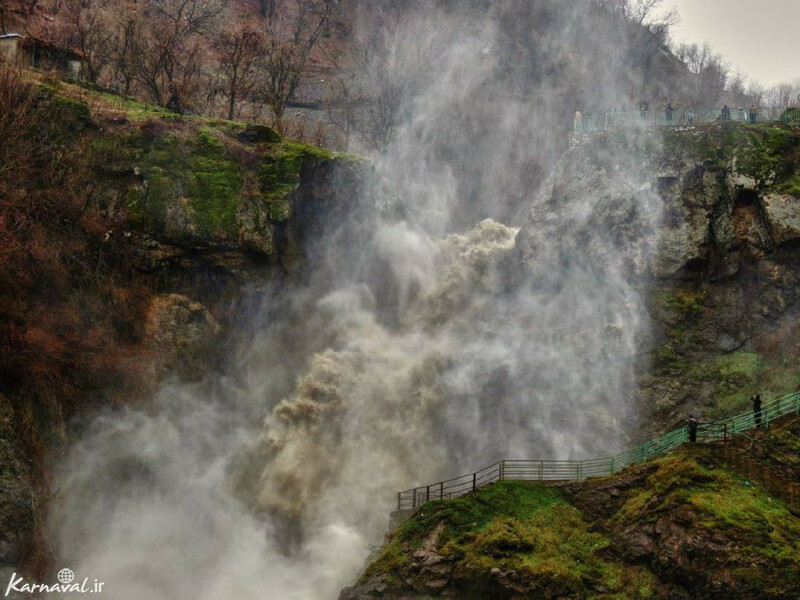 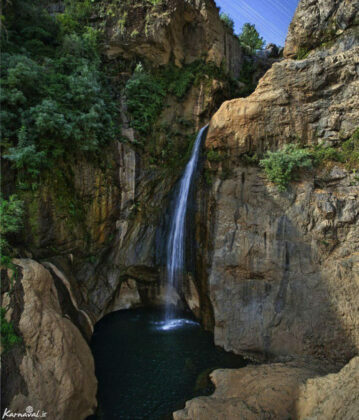 Shalmash waterfall is one of the most important cascades in West Azarbaijan province and in the Kurdish city of Sardasht. 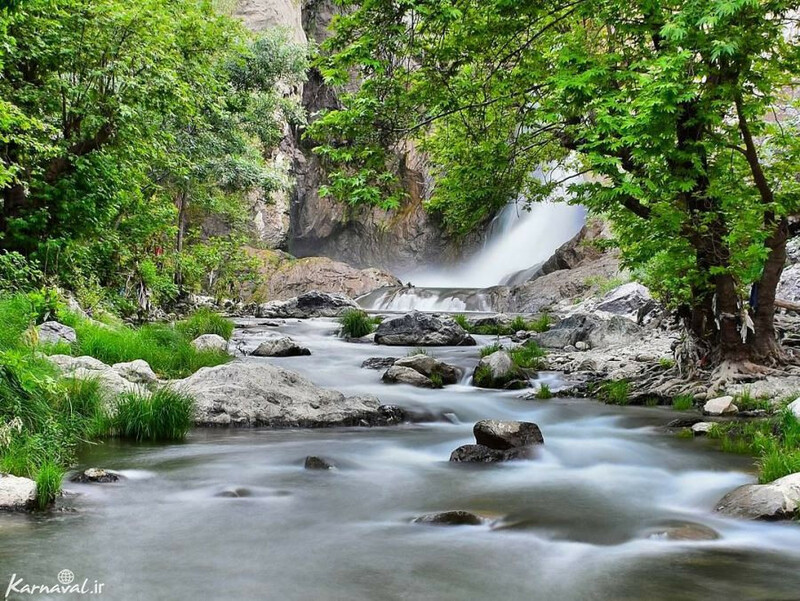 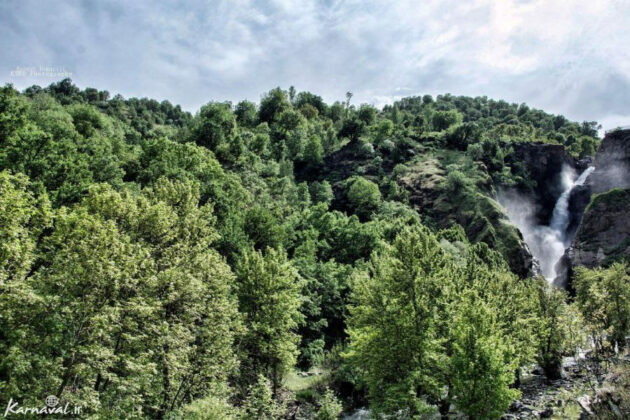 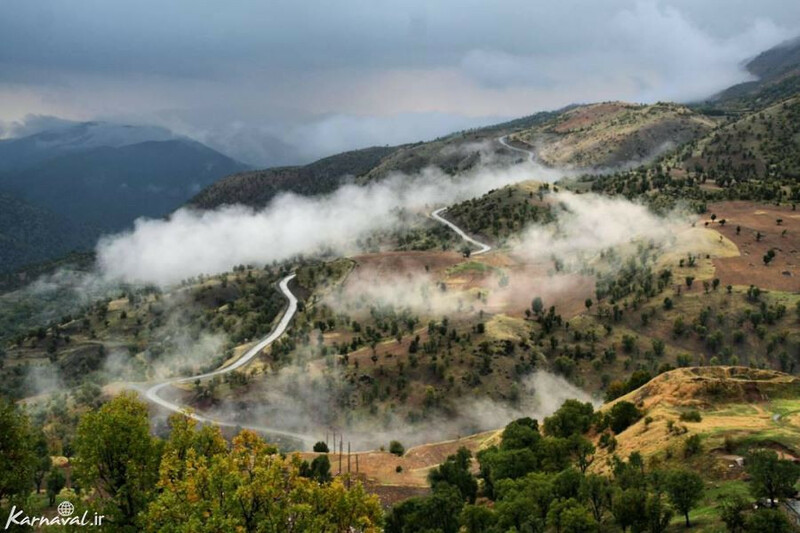 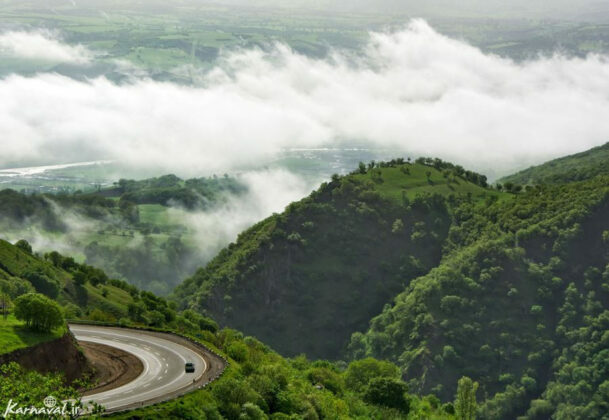 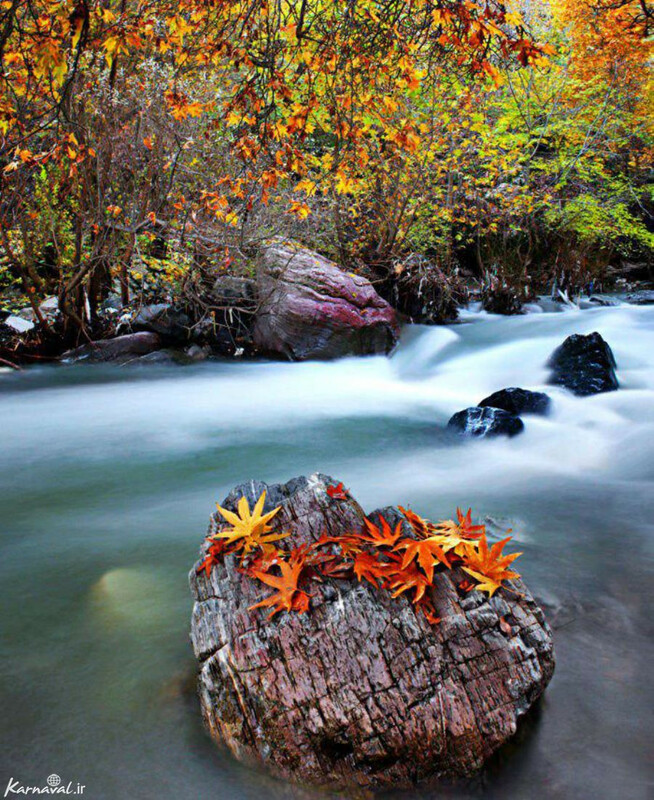 It is located next to forests near Sardasht and is considered the small branch of the Little Zab River. In the Kurdish language, Shalmash means a large rock and it is called Shalmash due to the height and rocky mountains from which the cascade flows. 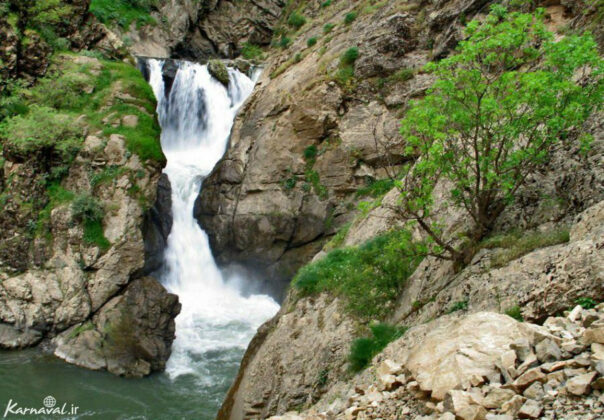 This waterfall, located 241 kilometres from Urmia, has beautiful and unique landscapes, and is one of the most beautiful natural attractions in West Azarbaijan province. These three cascades are arranged one after the other. 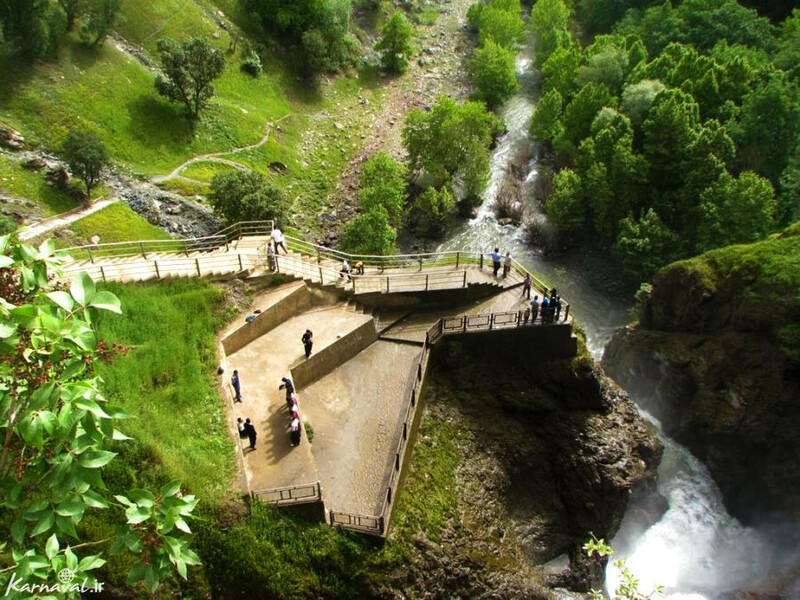 To see the next two cascades, visitors must move a rather large distance and enter a deep valley. 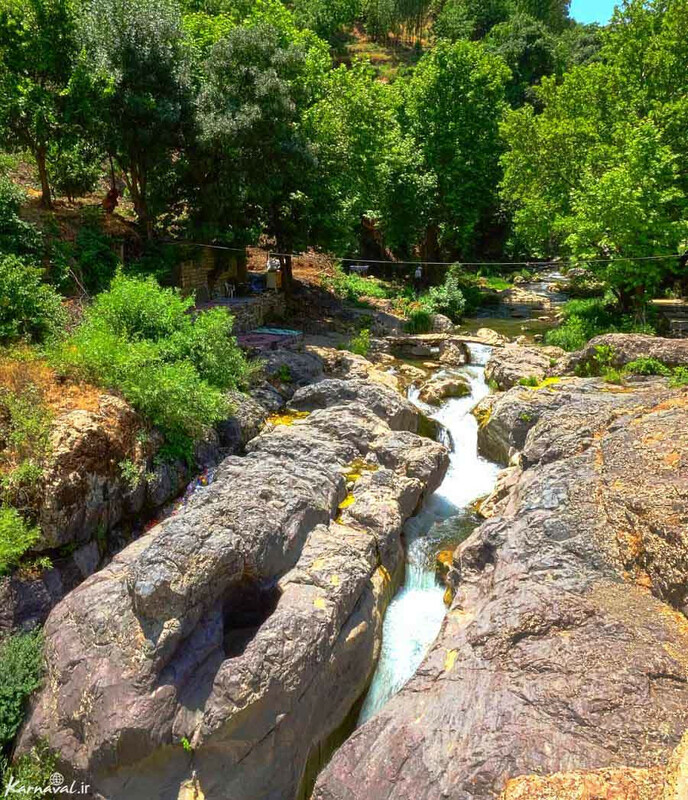 The region is home to oak, plane, pomegranate and walnut trees and is a good regional destination for tourists. 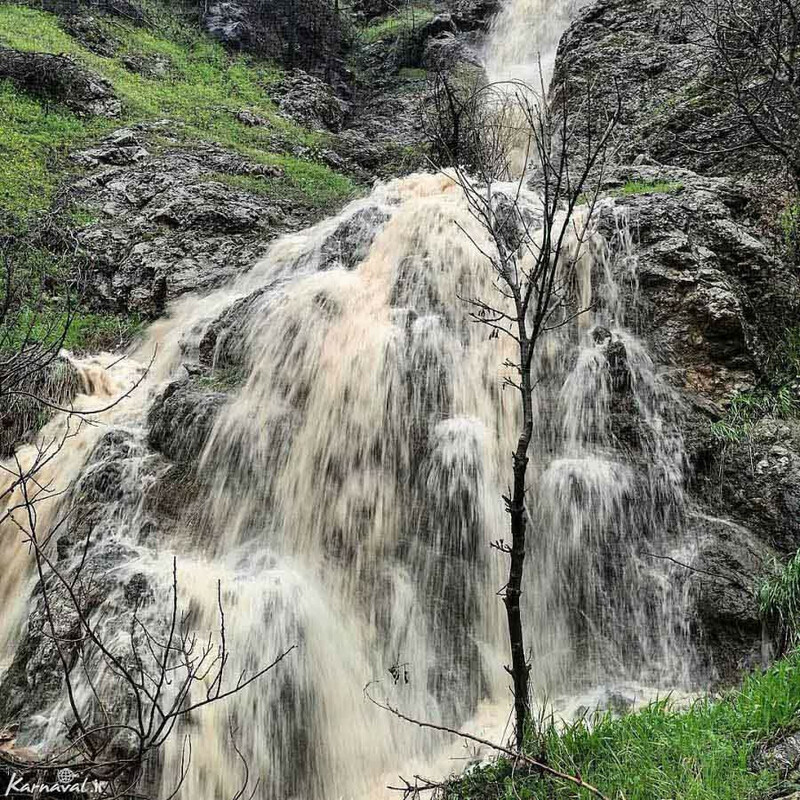 During the spring, this waterfall is filled with endless streams. The weather is cold until May, but it can be a good time to travel to the area from early May to mid-fall.